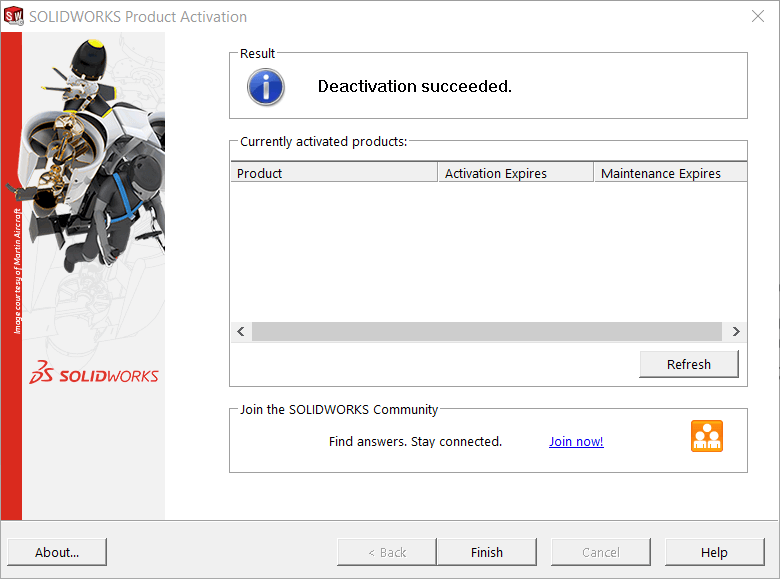 You may need to move your SOLIDWORKS activation to another computer. An activated SOLIDWORKS standalone license is locked to a specific computer hardware ID. 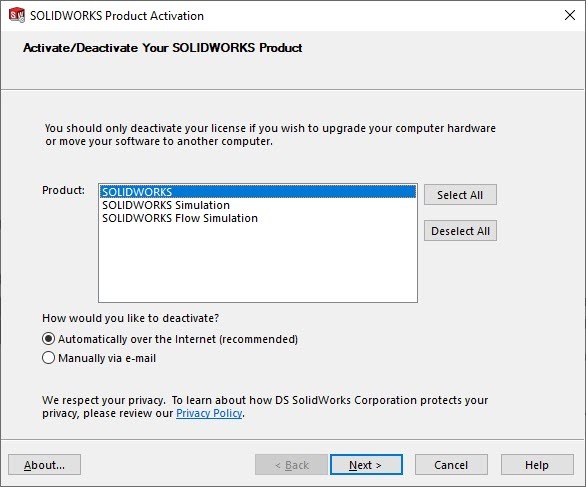 Before you change your hardware, reformat the OS or switch to another computer, be sure to Deactivate the SOLIDWORKS license. 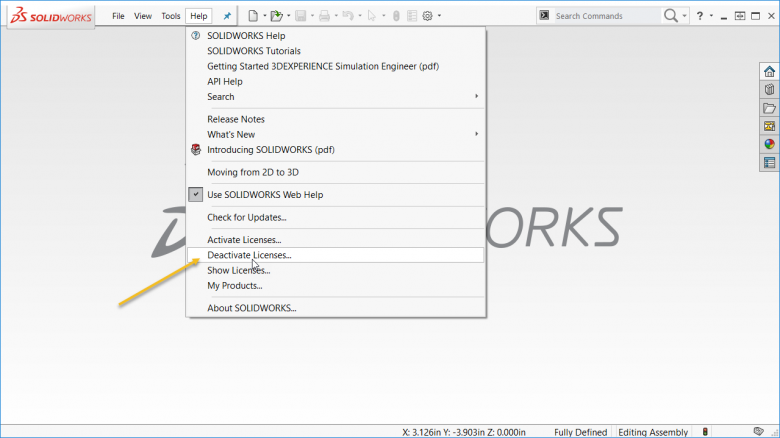 To remove the SOLIDWORKS activation, open SOLIDWORKS on your current system and go to Help > Deactivate Licenses (Help > Transfer Licenses if using SOLIDWORKS 2015 or prior). Select which product(s) you’d like to transfer from the list and choose “Automatically over the Internet” if you have an internet connection. Click Next. The Automatic method will finish the deactivation after a few moments and provide a message that it has been successful. For the ‘Manual via e-mail’ method, you will be prompted to save a Request file. Copy this file to a computer with internet and attach it to an email addressed to activation@solidworks.com. Within 10 minutes, you should receive an email back with a Response file from their automated system. Copy this file back to the SOLIDWORKS computer. Run through the same Manual Activation process but click “Open” to load the Response file. This will complete the deactivation process. With this complete, you can install and open SOLIDWORKS on the other computer and run through the Activation process.